Gather round ye’ children, listen to my story of the quest for the perfect bar soap holder. I moved into a condo last year, where I dreamed of the perfect little ceramic holder to nestle my soap. I envisioned a millennial pink marble with a gold trim at best, a plain chic white one at worst. The universe deigned to meet me in the middle at Ikea, where I purchased a sleight grey soap holder. It is truly extremely decent. I hate it. Now the world is bursting with soap holders everywhere I go. They are taunting me. In boutiques, in Anthropologie, at the dollar store. They are everywhere. Do you want to know why? Because bar soap is back, baby! Liquid soap is a very popular body product, and it always lines the shelves at local drugstores. Comparatively, it can be difficult to find a decent bar of soap. But I was raised in a bar soap household, and so after having a brief flirtation with liquid soap in my twenties, I am back to the bar! Soap is one of the oldest body products. Reaching back as far as the ancient Middle East, bar soap was produced as early as 2800 BC in ancient Babylon. To this day, many countries take pride in their unique methods of producing bar soap. Soaps have special ties to their home country of origin that depend on the natural ingredients available in the region-black soap made from the ash of plants from West Africa, olive oil based Castille soap from Spain, Marseille soap from the region in France which relies on fresh Mediterranean water for production. Beyond the ancient beauty benefits, purchasing bar soap instead of liquid soap has environmental benefits. Bar soap is either sold ‘naked’ without packaging, or wrapped simply in cardboard or paper. The packaging is often 100% compostable or recyclable. For those environmentally conscious, bar soap packaging produces little to no waste, compared to the large plastic containers of their liquid soap counterparts that is hard on our recycling plants. Your sweet body will thank you for using a soap made of all natural ingredients. You can certainly find lesser quality soaps containing chemicals, but I bet you haven’t noticed the $3 bars of all natural soap in Whole Foods or your local natural food store. People sometimes complain how bar soap can be drying. The moisturizing agents in in cheap, bulk packaged bar soaps come from heavy scents and ingredients that aren’t naturally sourced. To find a moisturizing bar soap, look for all natural bars made with ingredients like olive oil, Shea butter, goat milk, glycerin, and cocoa butter. Then follow your shower with a good moisturizer or dry body oil to pump up the moisture, for which I will have suggestions in a forthcoming article. A good bar soap can double duty as a face wash in a pinch, shaving cream pretty much always, and is easily packed for travel when you know hotel soap will just ravage your skin. So really, there are a million reasons to ditch the bottle and switch to the bar! If you’re not sure where to start, here are some recommendations for truly beautiful bar soaps. You’re welcome! Rainforest Alliance Certified is so good and so eco-friendly, the planet will thank you for treating your skin to this modern goodness. 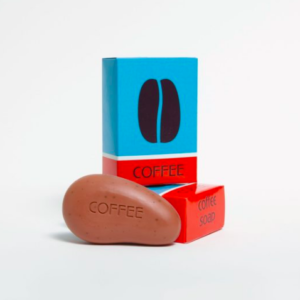 Made with ground coffee beans, this soap is packed with antioxidants to target fine line, redness, and will help stimulate cell regrowth. This bar soap is perfect for my dry, sensitive-skinned readers, because it’s like a cleansing moisturizing bar. 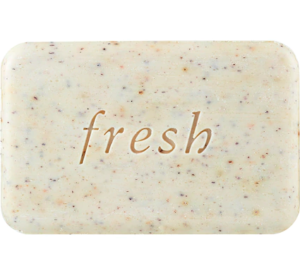 Made with only shea butter and vegetable based soap, this bar doesn’t really lather, because it is busy getting to work on injecting your skin with its shea goodness. This soap works double duty-African black soap is reknowned for its ability to be a cure all for many skin conditions and works on acne prone or skin conditions like psoriasis and eczema. While most soaps that work on skin conditions are drying, this soap contains shea so it is still moisturizing. Oats help sooth irritated skin, aloe moisturizes and calms, and vitamin E works as a powerful antioxidant. So don’t be mad, but I am cheating with this recommendation because, based on its ingredients, it is not technically a soap. It is a foaming bar that moisturizes as it cleanses. There are no drying detergents, which makes it perfect for super sensitive skin. It can also be used as a face wash, so double win! I was introduced to seaberry as an ingredient by my facialist a few years ago, and I have been raving about it ever since. It is a powerful antioxidant that is a natural curative to most skin ailments. It heals and lifts scars, brightens skin tone, and the exfoliating ingredients help buff skin into a shiny glow. I know the price tag seems steep for a bar of soap. But this is a bar I would spend my hard-earned money on, because it is triple-milled – meaning air and water are squeezed out of it during production. Go for it! Treat yo’self 2018! 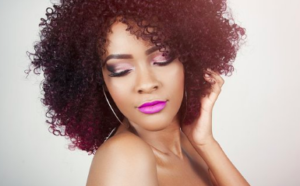 RELATED: You Should Be Mixing Your Lipsticks!